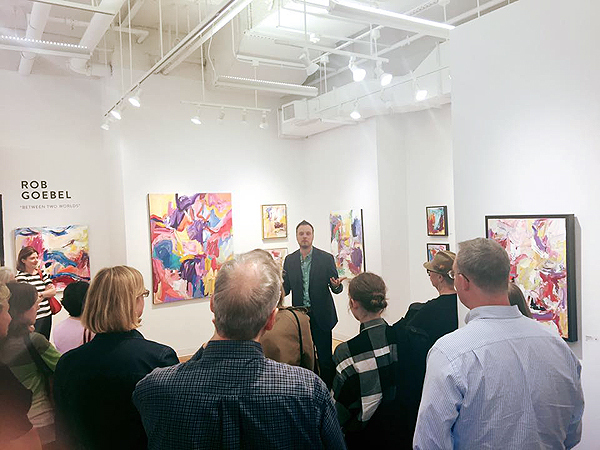 Touchstone Gallery was founded in 1976 by 30 talented and committed artists and has become an institution in the DC arts community. The Gallery has earned a well-deserved reputation for showcasing a wide range of award-winning contemporary art, including painting, prints, sculpture, mixed media, and photography. Over its history, Touchstone has been home to over 300 member artists and it has provided a show venue for guest artists who were part of national and local juried shows. It has also collaborated with local organizations, such as Art Enables, Miriam's Kitchen Studio, the Duke Ellington High School of the Arts, Capital Fringe, The Prisons Foundation and many others. And it has partnered with embassies to exhibit international artists, including France, Estonia, the Netherlands, and Afghanistan. Touchstone Gallery is open Wednesday-Friday 11-6 and Saturday-Sunday 12-5. The gallery offers its unique space for special event rentals.